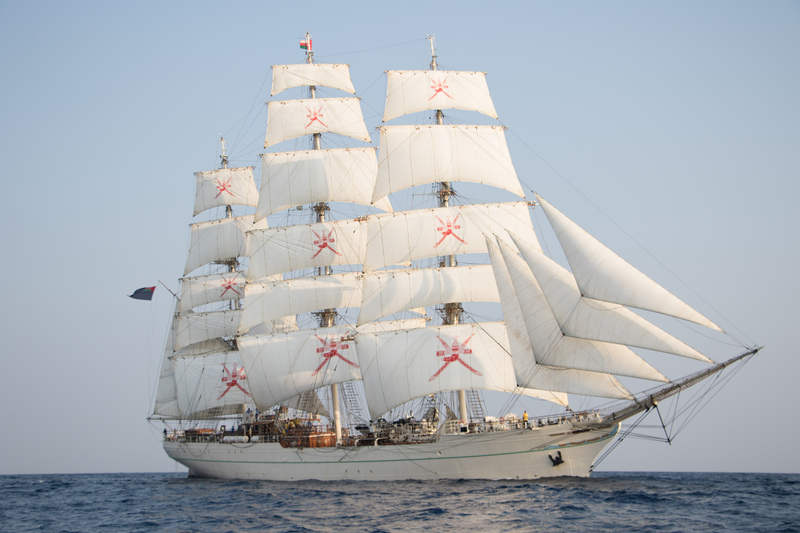 The 85-metre sail training ship Shabab Oman II is to embark on an official, four-day visit to Malta between the 22nd and 25th September. Regarded as the flagship of the Royal Navy of Oman, the Shabab Oman II, whose name means ‘Youth of Oman’, is a full-rigged ship. Besides serving as a training ship, it fulfils the role of a roving ambassador for the Sultanate of Oman, featuring the nation’s history and culture as well as highlighting traditions of friendship and tolerance. The ship has a complement of 58 sailors and officials with an additional 34 trainees. A gunfire salute from the Saluting Battery is expected to welcome the ship as it enters the Grand Harbour with full open sails and sailors up on its masts. Throughout her stay, the Shabab Oman II will be hosting a full programme of events, and is expected to open its decks to the general public. Yachting Malta’s Chief Executive Officer, Wilfrid Buttigieg, explained that such Tall Ship visits are designed to encourage international friendship and sail training for young people. Shabab Oman II’s visit is also a prelude to Yachting Malta’s efforts towards hosting larger tall ship events in the future. “Tall Ships have a strong following – we are confident that such events will strengthen Malta’s position as a sail training destination in the Mediterranean”. The Malta Tourism Authority’s Chief Executive Officer, Paul Bugeja, held that such a visit serves to promote and highlight Malta’s outstanding harbour and attract a specific type of tourism niche. Shabab Oman II will be berthed at Pinto Wharf, Valletta and open to the general public on Saturday, the 23rd September between 10:00-17:00hrs and Sunday the 24th September between 10:00 and 19:00hrs. The Shabab Oman II band will display its musical talents in traditional costumes in Valletta on Sunday. The ship will leave Malta on Monday 25th at 10:00 hours to a Saluting Battery gunfire farewell salute. The visit of the Shabab Oman II is being co-hosted by Yachting Malta and the Malta Tourism Authority, in collaboration with the Ministry for Tourism, the Ministry for Finance, Transport Malta, the Malta Sail Training Association, Valletta 2018 and Yachting In Malta.